Instructions: Save and Run sbjsetup4.zip to your Desktop and install to Blackjack folder on your Desktop. Select "Overwrite existing" to update Blackjack files. 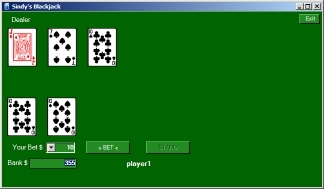 A demonstration of VB.NET programming.